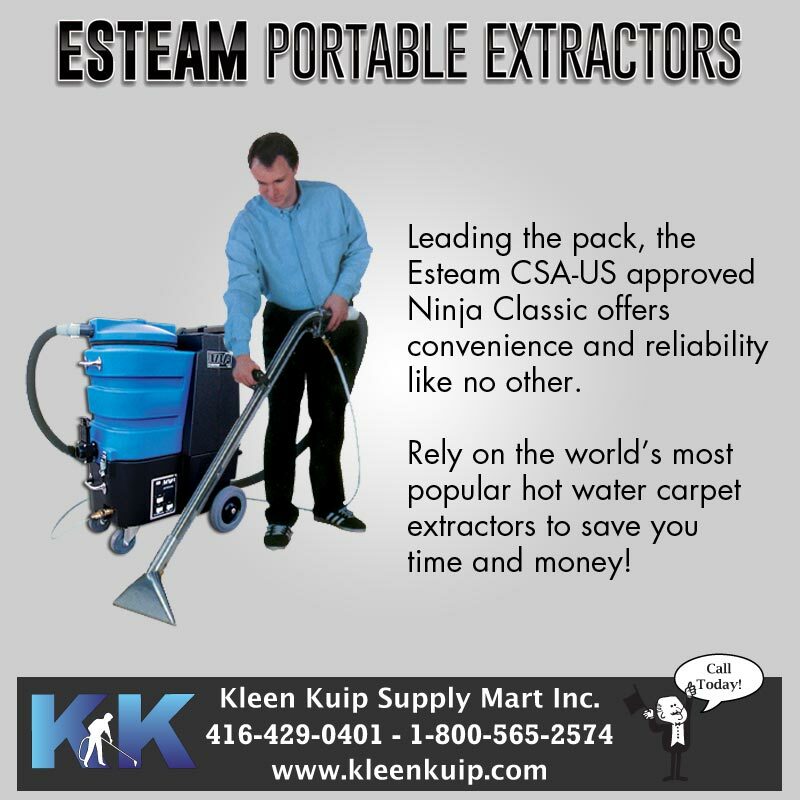 Leading the pack, the Esteam CSA-US approved NINJA CLASSIC portable residential, commercial and industrial carpet & upholstery extractors offer convenience and reliability like no other. 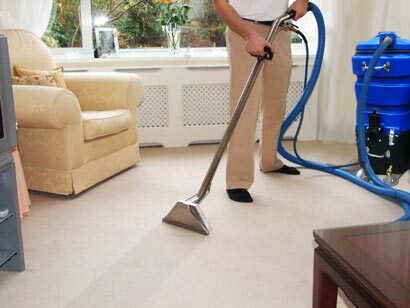 Rely on the world’s most popular hot water carpet cleaning machines to save you time and money! 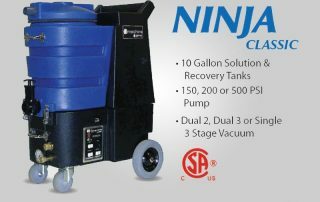 The NINJA is the #1 Rated Portable Industrial, Commercial & Residential Carpet Cleaning Machine designed to save you time where it counts, on the job site. Everything about this unique machine is well thought out with your convenience in mind. Less time to transport, set up, service, fill, drain, and clean! And we all know that the more time spent cleaning means more income and more profit. 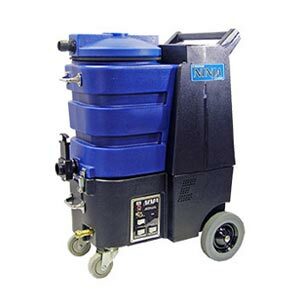 A great automotive car detailing extraction machine when used with one of our many different upholstery hand tools. The NINJA portable hot water extractor is built for your peace of mind. No more worries about whether or not your equipment will work. No more headaches trying to arrange a schedule around perpetual down-time. The NINJA is easy to load and unload, and move up and down stairs without stress. They are easy on your back and light on their wheels. 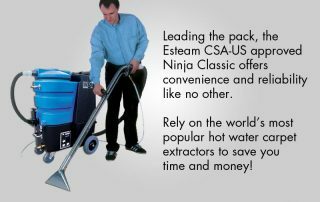 Now, like thousands of professional cleaners, you can rely on the NINJA to perform all day, every day. Built to last – that’s the NINJA! 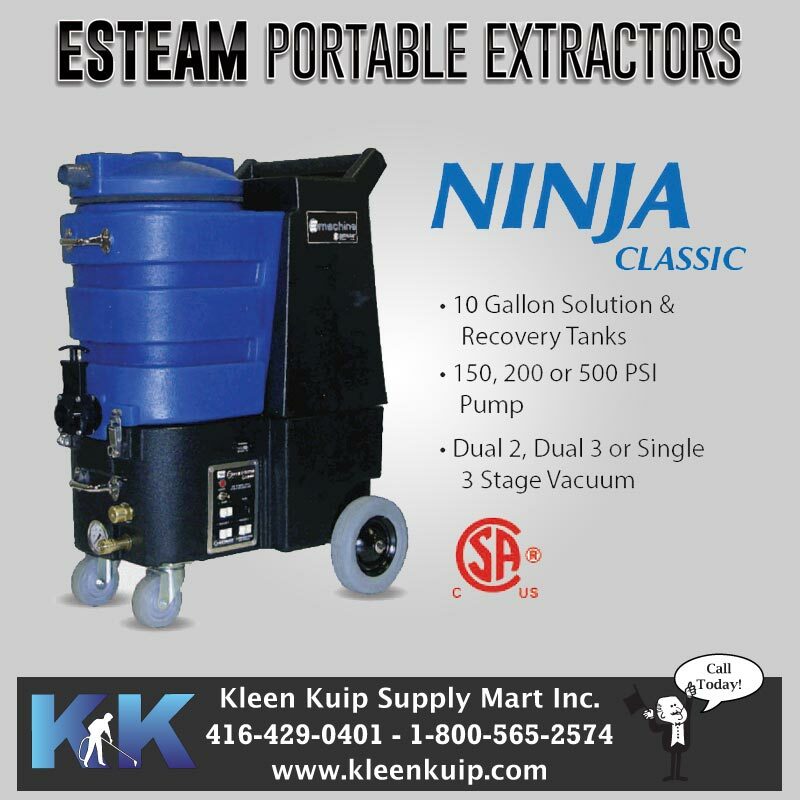 The NINJA Automotive Interior Detailing Extractor is the most easily transportable extractor that you can own. Light enough to load and unload, move upstairs and down, without stress. Compact enough to get into a closet. Tough enough to survive in hatchbacks, back seats, crowded vans, or just about anything else you use to get to work. The NINJA is easy on your back, light on its feet, and built for speed. And best of all, your new NINJA carpet extraction machine is designed to keep your money where it belongs – in your pocket! The NINJA is built right here in Canada keeping costs down. We don’t scrimp on parts either. We use the best components available for professional needs. As a result, a lower price does not mean less machine, at least not with a NINJA. So start today with a “can-do” attitude knowing that you can count on your NINJA Carpet Cleaning Machine to perform for years to come. You are not just buying a machine, you are investing in your future. With a NINJA, your future looks bright (and clean, too!). We also stock a wide array of specialty cleaning chemicals, carpet cleaning wands, upholstery tools and accessories. Call or visit us today!